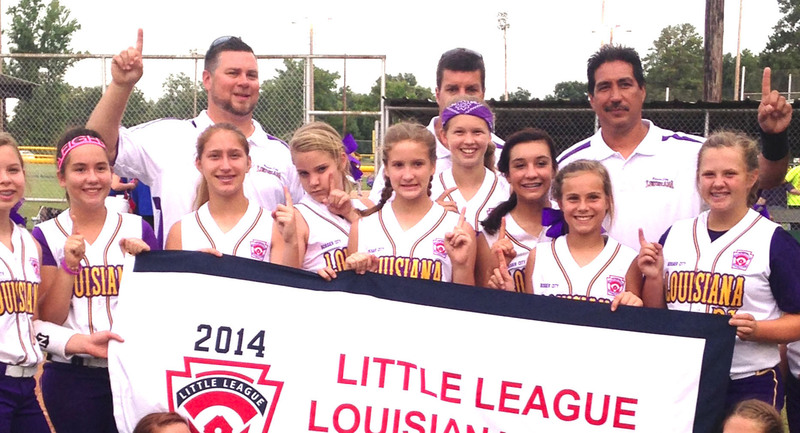 The Bossier All-Stars moved within one win of a berth in the Little League Softball World Series with a 10-6 victory over defending champion Texas West in the Southwest Regional Tuesday in Waco, Texas. Bossier, the only undefeated team left in the six-team tournament, plays Texas West Wednesday at 11 a.m. Even though Bossier hasn’t lost in the tournament, the game is a winner-take-all contest. Bossier trailed 4-2 after four innings before erupting for seven runs in the top of the fifth to take control. Mackenzie Chaffin, Caroline Easom and Madison Ennis led off the inning with singles to cut the Texas West lead to 4-3. Brooklyn Brandon then smacked a two-run triple to center field to give Bossier a 5-4 lead. Reagan Jorstad walked and Lexi Gray reached on an error. Brandon scored to make it 6-4. Gray advanced to second and Jorstad to third. Hannah Borah loaded the bases with a bunt single. Kourtnee White’s sacrifice fly made it 7-4. Gray scored on an error and Makenzie Chaffin singled, scoring Borah with the final run of the inning. Bossier added another run in the sixth on Jessie Baffuto’s single to make it 10-4. Texas West rallied a bit with two runs in the bottom of the inning, but Raelin Chaffin got a ground out to end the game. The game had a lot of offense. Bossier had 14 hits and Texas West had 13. Brandon went 3-for-4 with three RBIs. Makenzie Chaffin and Gray also had three hits each. Ennis went 2-for-3. Easom, Baffuto and Borah all had singles. Raelin Chaffin went the distance on the mound. She had no walks and struck out five.